Android Marshmallow is the complete package: it looks good, and there's real substance beneath the surface. With new features and options galore, the Android 6.0 Marshmallow update unfortunately brought a few bugs along for the ride. With that in mind, we rounded up the most common Android Marshmallow problems and the solutions for fixing them. Some extremists have suggested a full factory reset, followed by flashing the factory image, followed by another reset through recovery. Others are factory resetting and starting a fresh install (ie not using Tap & Go to set up your old device) and then reconnecting to Wi-Fi. Personally, I recommend figuring out whether what you're experiencing is bad reporting or a real problem before you attempt any of these fixes. Besides mysterious battery drain there's also legitimate battery drain, a staple of Android updates since time immemorial. Well, since 2009 anyway. The quickest solution to fix battery drain following an Android update is to update your apps (so that they are compatible with the new Android version) and then wipe the app and system caches to clear out old data. You can clear app caches individually or as a whole by taking the following routes: to clear them individually, go to Settings > Apps > select app > Storage > Clear cache; to clear all app caches simultaneously, go to Settings > Storage and USB > Cached data > OK.
To clear the system cache, turn your phone or tablet off and then press Power and Volume Down until you see the Fastboot menu. Use the volume buttons to highlight Recovery and press the Power button to select it. If you see the robot on its back, hold Power and press Volume Up once to access the recovery menu. Use the volume buttons to select Wipe cache partition and press Power to confirm. Once you've wiped the system cache, you can reboot and your battery drain problem should be solved. If your battery drain still persists after clearing the caches, the only step remaining is to factory reset your phone. First, back up everything on your Android and make sure all of your important files are safe. Then, go to Settings > Backup and reset > Factory data reset > Reset phone > Erase everything. If the problem continues even after rebooting and restoring your data, try to re-flash the Marshmallow firmware. 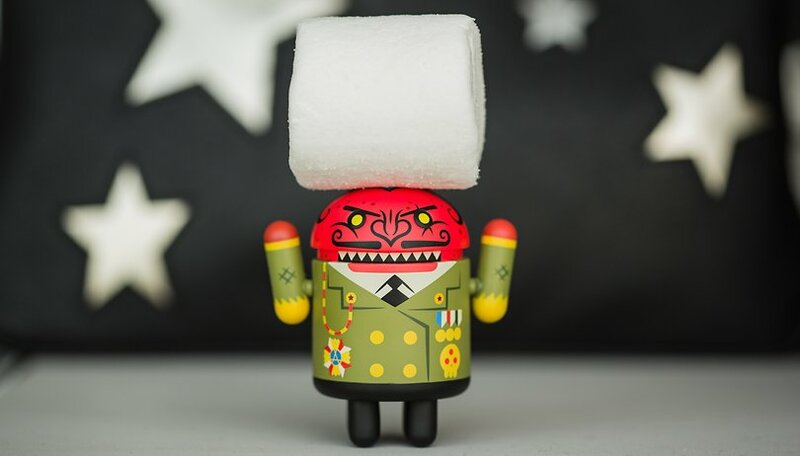 See our guide on how to manually install Android Marshmallow for guidance. If your phone hangs up during the installation of Marshmallow, the best option is to wait. Sometimes the first boot after an update takes a long time. If it's still hung up a long time later, you can wipe the system cache through Recovery mode, using the steps outlined above. Restart and attempt installation again. If the same things happens, you'll have to back up your data and factory reset before trying to update again. If you're getting spotty Wi-Fi connectivity on Android Marshmallow, there are a few things you can do. First, try toggling Airplane Mode on and off. If that doesn't work, turn off Wi-Fi, reboot your phone and turn it back on. Next, forget the connection and reconnect to it. Finally, go to Settings > Backup and reset > Network settings reset. Not all updates are perfectly stable in the early days. That's why Nexus folk get them first, so they can find the bugs and report back to HQ before everyone else gets them. That's not really true, but hopefully it makes early adopters feel like they're performing a public service when dealing with new update problems on Android. If you find that your version of Marshmallow is unstable – random reboots, app crashes, glitches and stutters, strange behavior and so on – then you have a couple of options. Simply turning your phone off for a minute before restarting it might fix the issue. The next step is to try to identify the issue, to see whether it's app-related or caused by the system itself. To identify a problematic app, boot into safe mode, by holding down the Power button and then long-pressing Power off. Safe mode disables all apps you've installed so you can assess whether the core system apps are functioning normally. If they are, then one of your installed apps is the problem and you should try systematically uninstalling them one at a time to find the culprit. If Marshmallow is unstable even in safe mode, then it's an OS problem, not an app problem. You can try clearing the system cache by following the steps outlined in the Battery Drain section above and, if that still hasn't fixed your problem, your last resort is to back up your data and factory reset your phone (also covered above). Despite Marshmallow's new USB charging standards, Android 6.0 charging problems seem pretty common, from devices that drain faster than they charge to phones that simply won't charge at all. Marshmallow is making users earn the battery benefits of its Doze mode and app standby. Google's official solution to a phone that won't charge on Marshmallow is a factory reset, the instructions for this can be found above. If your connection to mobile data behaves strangely after the update, try toggling airplane mode on and off, and then doing the same with mobile data in the quick settings. If this still doesn't work, turn your phone off for a minute and then restart it, at which point you'll be asked to re-enter your SIM pin code. If that still doesn't work you can try removing the SIM card entirely and then reinserting it. If all else fails, contact your carrier to see if there are any known Android Marshmallow problems on your network. If you're having Marshmallow USB connectivity issues, it's most likely because you haven't selected the right option on your phone's software. By default, the device will likely be set to USB charging mode, meaning you won't be able to access your files. When you plug your device into your PC over USB, a notification will appear saying Connected for charging. Press on this and you will be presented with four options. The one you're most likely to want is Transferring media files (MTP). This will let you copy files to and from your device via USB. Transferring images (PTP) is your backup option, in the event that MTP is not supported. PTP will make your computer think you've attached a digital camera, allowing for the automated transfer of media files. If you're being told there's not enough storage space on Marshmallow, it might be related to your SD card. Although Marshmallow now allows SD cards to be formatted as internal memory, there are still apps that cannot be stored on the SD card. Head to Settings > Apps. Here, you can press on any app and then tap Storage > Change and select SDCARD. If the SD card option doesn't appear, it's because the app cannot be stored there and must remain on your actual internal storage. If this isn't the problem, then you need to make some space on your device's internal memory another way. Clearing app caches is a good place to start. Some devices allow mass cache clearing. Head to Settings > Storage. If you see Cached data here, press it and then press Delete in the dialogue box that appears. If you don't see this option, you will have to go the manual route. Head to Settings > Apps / Application manager and press on any app. Then, select Storage and press Clear cache. You will need to go down your list of apps and clear the cache on as many as you can before you succumb to mind-numbing boredom. Once you've cleared out your caches, there will hopefully be considerably more space. If you still need more, you will have to start uninstalling apps and deleting media. Make sure you backup any files you wish to keep for later, though. What Marshmallow problems are you facing? Have you found any alternate solutions? Let us know in the comments. Hello. I have a Samsung Note 4 and the last update has blocked it. I cant work with my phone and every time i try to open it, phone blocks. Now it started to turn off and i cant turn it on again for a several hours. Can somebody help or tell me what should I do. I believe that whoever made this update has some explanation to give and to give a lot of help to his users. This is a smart phone that is made for users to work with all programs and should not make these problems such as turn off wifi or every time you use an aplication you should than turn it off. This phone costed a lot to me and i take care not to brake it or watch out from viruses but now to have problem with official android system its not ok at all. Two brand new T-Mobile LG K-7s with latest software Go into Facebook Marketplace, try to change locations, shuts down Facebook. T-Mobile Tech Support unable to help. Hard reset phone, same issue. T-Mobile says buy another phone. Phones are paid off, why buy another phone? At help appreciated. Anyone else having same issue? Think it is a hardware or software conflict with LG K-7. Second set of brand new phones doing same thing. Hi! My rear camera and flashlight dont work, and the selfie camera is upside down. I think that my phone isn't compatible with Android 6.0. What I can do? Root or something like that? At this moment there are not updates aviable. I really dont want to downgrade. New updates of android gives the OS more stability. I have a samsung galaxy A5 (2017), I've been having an issue where i can only hold my touch for about three seconds. I can do stuff but when I try to send voice texts on some messaging apps and play games that requires continuous touch that's when it happens. Can't hold on for more than three seconds, it releases itself even tho I'm still touching the screen. Can anyone tell me what's happening? It would mean so much to me thank you! Most of the Apps are Disabled. Press the search (near top right) in settings and enter "Draw over other apps". Looking at "Enabled" ones that say Yes, find the active app (that is causing the trouble) and deny the Permission. So before the update when I was on 5.1.1 also known as lollipop I had full access to my APN settings (I had done a hack that let me get free unlimited high-speed data and unlimited hotspot on boost Mobile). Now the marshmallow update won't let me access my APN settings. I spent the past 5 days researching this and I found out that my APN settings are locked by a hidden menu. In trying to figure out the best way to get around this by either downgrading to lollipop agian (idk how) or going to the vendor store to ask for a downgrade (if possible) or even rooting my phone to get access to the hidden menu that says something on the lines of "com.android.hiddenmenu./modemmprotecal/unlockapnsettings". If some one could help me I would be soi great full. Help! My Nexus 5 (yes old) but well cared for, suddenly stopped scanning and showing wifi networks. Rarely it shows available networks and I connect to my router but it loses connection. I just decided to factory reset and this didn't help. So hardware problem? Is there a way to know? It's 6.0.1. don't want to buy a new phone! Thanks. 170708 - Update replacing earlier issues list: installation and performance problems mostly solved on an inexpensive (underpowered) Acer tablet by 1) using Greenify; 2) use Developer Options to disable animations, limit processes; 3) use microSD as external rather than adoptable storage; 4) wipe system cache after a large system update; 5) Periodic checking of Misc. Storage and individual app caches. Android M restrictions block some cleaners like CCleaner, but Super Cleaner (Hawk App Studio) will do it after a long permissions process - too cartoonish for my taste but it works. on my motorola moto g turbo edition I downloaded Injustice gods among us. It was fine for a few days even though a lot of times it said unfortunately Injustice stopped working but now whenever I tried to open the app it says Unforunately Injustice has stopped working. What should I do????????? Hi guys, after i upgraded to marshmallow on samsung A7, then my phone is restarting continously and the screen is always showing the blinking 'Samsung' word until the battery went off, cannot even switch on the phone. Does anyone encounter the same issue and know how to fix it? By now you should have figured out you were in a boot loop because some dust was stuck under the power button.